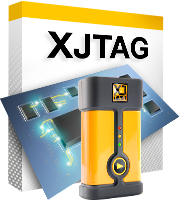 Our confidence in the ease-of-use of our tools means we’re more than happy to provide a free 30-day trial to organisations looking to get the most out of JTAG. What’s more, if you really want to hit the ground running, we will include setting up your first board (assuming you’re in a position to loan us a version, NDAs available). Don’t worry, this is a fully working product complete with a USB-JTAG controller and the ability to integrate with LabVIEW, .NET, etc…Once you’re comfortable with the tools, we can convert you to a full license so you won’t lose any of the work you’ve done. Fill out your details below, and we’ll contact you to start the process. Copyright © XJTAG Limited. All rights reserved.